Because of houseguests and cleaning and yardwork and ice cream making and such, I feel I haven't had the lazy reading summer I wanted so I've decided to join the 24 in 48 Readathon for the first time! 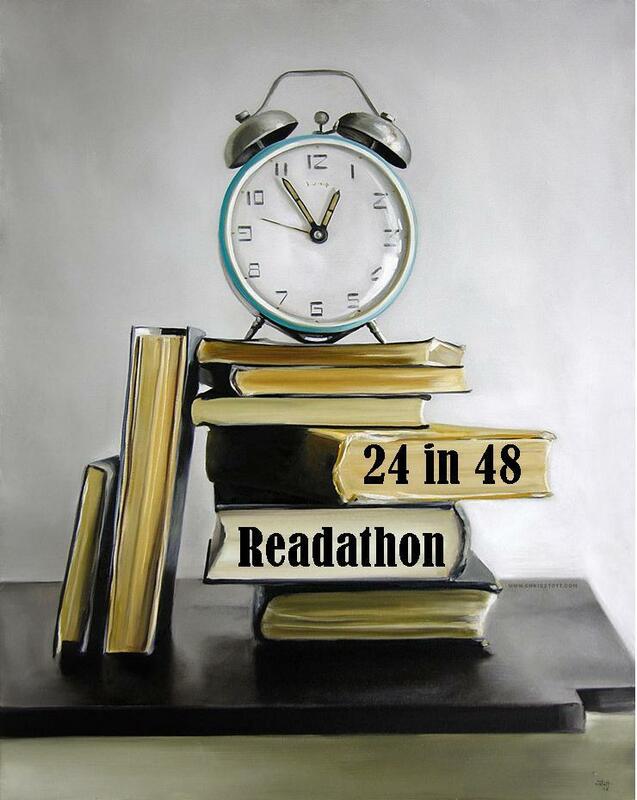 It's a pretty simple premise -- try to read for 24 hours during the 48 hours that are this Saturday and Sunday. The good news for me is that it starts at midnight eastern on Saturday which is 9pm here on Friday night (tonight! ), prime reading time! So really, I'll probably read for 4-6 hours on Friday night and then go until 9pm on Sunday night. I don't know if I'll get a full 24 hours of reading in but I really just want to have fun and escape into a few good books for a while. 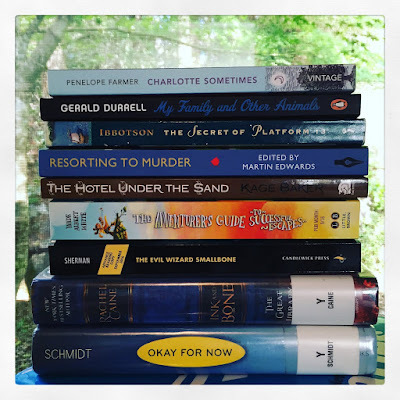 Here are the books I grabbed for my readathon stack. They all seem like fun, escapist reads so I'm not sure how I'll choose! I think I'll keep the extras out as my choices for the rest of the summer. I'll be posting my updates on Twitter and Instagram. If you're also participating, come find me! Excellent stack! I am particularly interested to hear your reports on the Rachel Caine book and Penelope Sometimes -- my mum has had the latter book, and I keep thinking I maybe should read it, but then not being sure enough about it to actually borrow it. I've heard good things about the Rachel Caine series so I hope it's good! And Charlotte Sometimes was great. The time travel felt similar to Tom's Midnight Garden, if you've read that.